I absolutley love braiding hair! Ever since I was 11 and had my doll heads I have been unstoppable. This is my best friend Sydney's hair. I went over her house and we were a little bored and her hair was a bitof a mess. 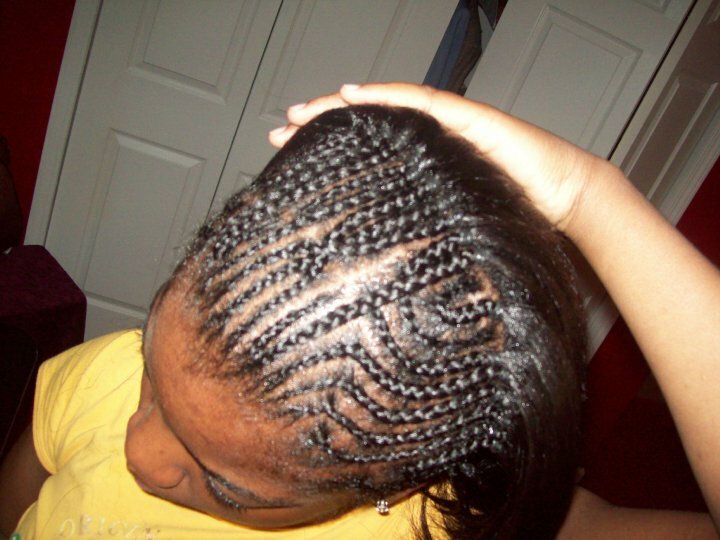 She asked me if I could braid her hair straight back with a few designs here and there. Since I love hair so much I just up and reached for the comb, brush, gel, and rubber bands. The braids are small and not to tight and she loved it. I loved doing it.